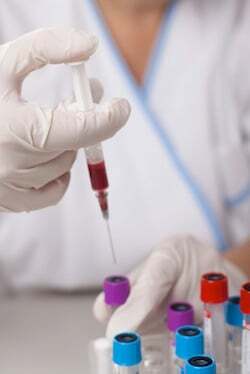 Universal screening for group B streptococcus (strep) is recommended, but the rate of testing is not 100%. Researchers from Brazil recently published a study in the BMC Pregnancy Childbirth journal investigating the effectiveness of academic detailing on group B strep testing rates. Obstetricians associated with deliveries as a medical cooperative in Brazil during the three months prior to the study were asked to participate. In all, 241 doctors agreed. The doctors were placed in three groups – direct mail, academic detailing and control. The direct mail group received information on group B strep via mail. The academic detailing group also received materials on group B strep, but a personal visit detailing the information was also provided. The control group received no information and no visit. Conclusion: Obstetricians in the academic detailing group were more likely to test patients for group B strep in the three months following education, but only 25% of patients were tested even in the highest rated group. When researchers evaluated vaginal deliveries separately, 75% of women cared for by doctors in the academic detailing group were tested. Academic detailing increases the likelihood pregnant women will be tested for group B strep. Source: Silva JM, Stein AT, Schünemann HJ, Bordin R, Kuchenbecker R, de Lourdes Drachler M. Academic detailing and adherence to guidelines for Group B streptococci prenatal screening: a randomized controlled trial. BMC Pregnancy Childbirth. 2013 Mar 19;13(1):68.